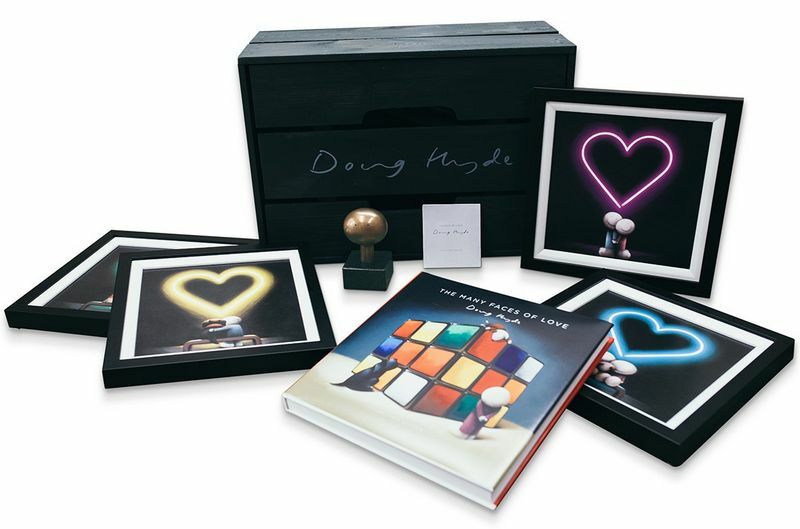 The Box Of Love - Box Set - by Doug Hyde // £845.00 - 15% off. ‘The Box Of Love’ is a one of a kind box set in its own right, perhaps we can go as far as say it is a treasure chest! Maybe the Pirates buried Doug Hyde’s gold and jewels and you have landed yourself some swag maties! A rather special addition to Doug’s range, with four framed in black mini prints, a mini bronze sculpture (both exclusive to the set) and a lush hard back book - with pages full his vibrant limited edition & originals. This set is a joy to behold, each piece ‘gold’ in its own right! ….but can you name any other artwork? A fantastic gift for yourselves or a loved one, to be ‘treasured!’ for years to come.